Orange has broken a new ad campaign without the famous ‘The future’s bright, the future’s orange’ line. Hence the new idea based around the concept of collectivism and summed up in the line. I am. The debate within the ad industry has been rather parochial as this very interesting film on Brand Republic TV demonstrates. And this is a rather nice spoof. 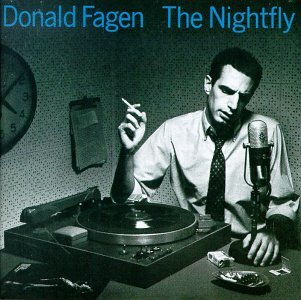 The Nightfly back on air Thursday 7th August at 8pm. I'm going to have to take up smoking again. Oh yes, and go on a diet. My third year as the Nightfly consists of only one show on Jubilee FM. It’s an online only broadcast and you can find the link here. Not only that you can tune in and listen live. However very soon (September I think) the station goes fully live on FM and online and I hope I’ll have a regular slot. If you want to hear my mix of music old and new and certainly not from any regular playlist tune in on Thursday the 7th at 8pm (UK time). Again and again I see glimmers of hope coming out of our present government’s think tank. Here’s a small (to some; not me) and not life-changing, but nonetheless brilliant initiative. An Edinburgh design firm, Redpath, led by the larger than life Richard Irvine has completed a rebranding job for Transport Scotland that will see all of Scotland’s rail network (trains, signage and stations) uniformly branded. You might say ‘so what’ but I say ‘fantastic’. If we want to act as a nation we need to present ourselves like a nation. 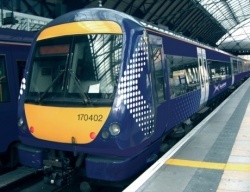 So First Scotrial, Strathclye Passenger Transport and whoever else has their own liveried trains chuntering about on the tracks of Scotland’s railways will be uniformly branded Scotrail and if the franchise changes the liveries won’t, only the train operator’s logo on door panels will. Not only that, but the Saltire device from which it emanates will tie in with many of Scotland’s brands, like the Scottish Govt itself, NHS Scotland and so on. I call it a victory for common sense and creativity and I take my hat off to all involved!